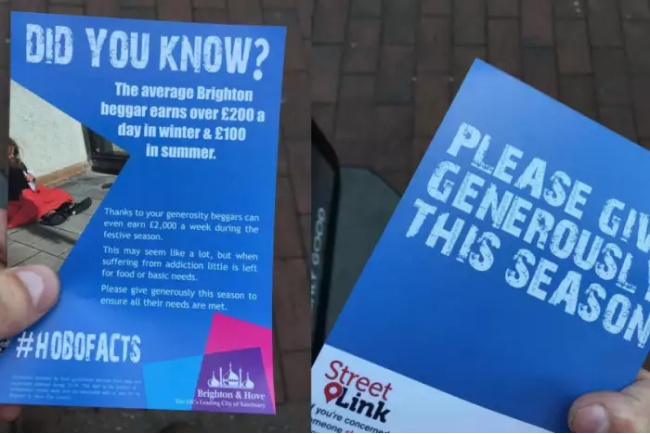 Free People of England: Brighton homeless 'charities' guilty of modern day slavery. Brighton homeless 'charities' guilty of modern day slavery. The core problem is that our public sector is destroying society - the public sector undermines peoples own actions so making peoples own efforts and initiatives futile, they extort peoples money and they usurp peoples responsibilities - so leaving people to simply drift while they wait for what the state will do to them next. People sleep rough for all kinds of reason - from choice though to necessity (based on the choices society has left them). The public generally don't like seeing rough sleepers or seeing beggars. When confronted with people in such a situation they may offer some small assistance - money or some such, but they would really much rather they weren't there next time the passed that way. So, under the pretence of 'helping' these poor souls, the pubic sector and charity sector have stepped in to tidy up the streets. In so doing they have created nice, well paid, comfortable jobs for themselves, created organisations that need all kinds of support staff and get all kinds of taxpayer handouts to help them with their 'mission'. But what ever the 'mission' was when a private charity, once the taxpayers pocket is near, they all simply become tax parasites looking to get fat at other peoples expense -- with their 'unfortunate clients' only useful role as a 'human shield' so the charities can defend their own greed by virtue signalling over those they pretend to help. A once common phrase was 'where there is muck, there is brass'. Meaning that people are often willing to pay (brass) to avoid doing dirty work themselves. 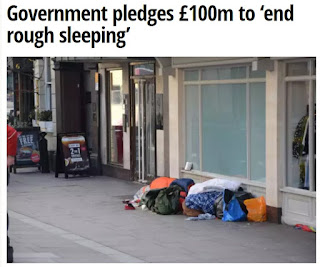 Clearing the streets of the homeless is the 'dirty work' and the taxpayer are the source of the 'brass', while the 'charities' and 'public sector' (the tax parasites) are those supposedly doing the work. 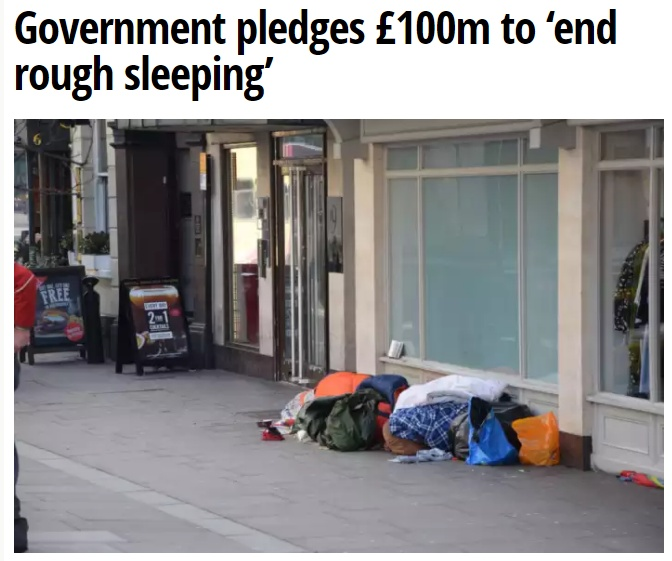 Because the real purpose of this is to clean the streets (not to help anyone) any dirty trick maybe used to persuade someone to stop sleeping rough. Working hand in hand with another part of the tax parasite sector, a part that is paid to providing 'housing' for those 'rescued' from the streets they aim to force people off the streets (for a tax funded fee) and force them into the 'housing' (again for a tax funded fee). To the tax parasite public and 'charity' sectors, the rough sleepers are as slaves or cattle being herded around (often under coercion) so the overseers/shepherds can be rewarded from the tax-payers purse. The latest dirty trick (actually a repeat, but better executed this time) is to persuade people to not give money to beggars. This so called 'fake leaflet' is not a fake... it just uses a council logo without permission. Meanwhile, the government fattens the cats with more taxpayer money (not for the rough sleepers, buy for the tax-parasite public and charity sector). And they tax-parasite housing sector hoover up the unfortunates where they they just die anyway... so much for being 'saved' from 'rough-sleeping'.